New Year 2011 is around the corner, you may be busy with your home decorating. What style do you want it be to toast to the New Year? Do you apt to the Modern style or traditional style? Ikea—the largest home furnishing supplier in the world can bring you with inspirations. The annual household product catalogues released by Ikea are viewed as the representative of the popular trends in the global household products. And at the dawn of 2011, Ikea brings forth something fresh to Ikea fans: to release its product catalogues on the most popular smartphone—iPhone worldwide. 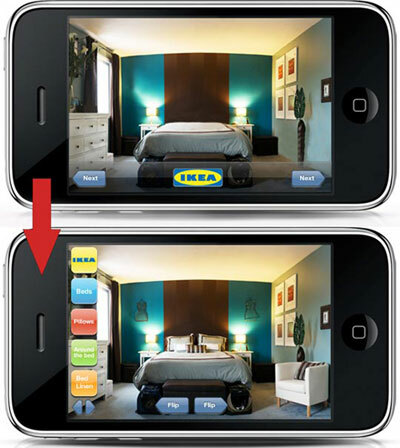 It is the first for Ikea to promote its products on iPhone. Although it is a simple iPhone App, it treats the consumers to a full-screen picture of all products in 2010. At least, it can be marked as the intuitive shopping experiencing software for consumers. You do not have to carry those paper catalogues with you any longer since you can have a general look on your iPhone. What if the motionless Ikea product pictures on iPhone screen can not meet your demand completely? You can also transfer some wonderful videos about Ikea to your iPhone for more visual enjoyment. Perhaps some good decorating ideas will come to the fore. 1. Download, install and run iPhone Video Converter. 2. Add your Ikea videos to the program and adjust video effect if necessary. 3. Start to convert and you can get the target as soon as possible. By the way, if you are Mac user you can also get approach to Mac iPhone Converter and follow the above guide in the same way. If you have the other portable devices, you can also feel free to visit this New Year Special Offer site to find out your corresponding software.